On 18 October 2007, 28 Indo-Pacific bottlenose dolphins (Tursiops aduncus) (CITES Appendix II) were exported by Solomon Islands to the United Arab Emirates. This trade followed a similar export of 28 Indo-Pacific bottlenose dolphins from Solomon Islands to Mexico in July 2003. Solomon Islands has expressed its plans to conduct future exports of up to 100 live dolphins (species unspecified) per year. There is a significant lack of scientific information on the stocks of T. aduncus (or any other dolphin species) in Solomon Islands waters, as confirmed by the chair of the IUCN Cetacean Specialist Group (CSG) in letters submitted to the CITES Secretariat and Solomon Islands government in June 2007 (IUCN CSG 2007a, b). The Scientific Committee of the International Whaling Commission also discussed the 2003 live captures of bottlenose dolphins in Solomon Islands, noting that “[n]o estimates of abundance, population structure or vital rates are available” and re-iterating its “recommendation that any live captures should be proceeded by a full assessment of status” (IWC Scientific Committee 2004). Consequently, these past and potential future exports represent a failure in the implementation of CITES Article IV, which requires science-based non-detriment findings before export of Appendix II species is allowed. Reportedly, Solomon Islands issued a CITES export permit. The issuance of the required CITES permit would have met the requirements of CITES Article IV only if the required findings pursuant to Article IV had been made. At issue is whether the export permit was based on the proper findings, and therefore should have been issued at all, given the lack of scientific information on which to base a non-detriment finding. However, according to the IUCN CSG letters, “We are not aware that any credible, peer-reviewed studies of bottlenose dolphins have been undertaken in the Solomon Islands since 2003. Accordingly, we have not changed the conclusion we reached in 2003 that a non-detriment finding under CITES is not possible for these populations, and that exports should not take place” (IUCN CSG 2007a, b). Despite this communication, Willem Wijnstekers, Secretary-General of CITES, issued a statement on 15 October 2007, posted to the CITES website, as follows: “the Secretariat has not been presented with any evidence [for Solomon Islands dolphins] which demonstrates that non-detriment findings are not being adequately made before exports are authorized.” This directly dismisses and ignores statements made by the world’s foremost cetacean authorities, including experts in the Indo-Pacific region. In addition, the CITES Secretary-General’s statement displays several significant misconceptions and flaws that should be of concern to CITES Parties. We believe the decision by the Secretary-General to make a public statement in support of the export of dolphins from Solomon Islands was not consistent with the requirements of the CITES treaty or Resolutions adopted by the CITES Parties regarding the making of non-detriment findings. We therefore offer the following rebuttal to the official statement and other comments made by the Secretary-General about dolphin exports from Solomon Islands. The very essence of the CITES treaty is the scientific and management underpinnings of the issuance of CITES permits. Without such scientific and management findings, CITES becomes a paper exercise only – with documents being issued, but without the necessary determinations underpinning these documents. The issuance of a non-detriment finding requires more than just a verbal or written declaration that an export will not be detrimental to the survival of a species in the wild – it by necessity requires scientific and management findings by the exporting country’s Scientific and Management Authorities. CITES Resolutions Conf. 10.3 and 14.7 clearly declare the intent of the CITES Parties to make scientific validation the primary principle of the required non-detriment findings. If there is good cause to question the science, then there is good cause for the Secretariat to review the advisability of allowing trade. However, in this case the Secretary-General, and thereby the Secretariat, chose to ignore both Resolutions, as well as the IUCN CSG recommendations. It is the role of the Secretariat to assist Parties, or to highlight infractions or problems with CITES implementation. It is not the role of the Secretariat to legitimize the issuance of permits without proper scientific findings. This is counter to the spirit of the CITES treaty, and the intent of the Parties. Furthermore, it is the role of the CITES Secretariat to provide advice and assistance to exporting countries, when requested. We recognize that a developing country such as Solomon Islands may not have the capacity to issue scientifically-based non-detriment findings, or to undertake the necessary surveys and implement the necessary management measures for the species. We believe that assistance should be offered to Solomon Islands to enable its authorities to effectively manage their marine resources. A statement such as the one made by the CITES Secretary-General does not facilitate such assistance or cooperation, nor does it increase the probability that developing countries will come to the Secretariat for such assistance. We are not aware of all the requests that the Secretariat received, but those we are aware of requested the Secretariat to fulfill its role under Article XII paragraph 2 (h), which states that it is the role of the Secretariat “to make recommendations for the implementation of the aims and provisions of the present Convention, including the exchange of information of a scientific or technical nature.” The Secretariat was asked to provide information and assistance to the exporting country to not allow trade that is not in accordance with the CITES treaty, and not to “stop such trade” in general. The Secretary-General has confused (conflated) a specific instance of trade with all similar trade. One instance of a certain type of trade (such as live cetacean trade) can be in violation of CITES requirements without all instances of that type of trade being in violation. We support the view of the IUCN CSG that export of T. aduncus from Solomon Islands is not in accordance with CITES Article IV, as no credible non-detriment finding can be or has been made. That is the only issue (and not the validity of exports of live cetaceans or even Tursiops elsewhere in the world). In the 30 July 2003 statement, the CITES Secretary-General stated that he “was of the opinion that until Mexico received further [scientific and other] information from the Solomon Islands addressing the points raised by the Secretariat, the imports should not be allowed.” He also noted that if “evidence is received that the requirement of CITES have not been met, the Secretariat will not hesitate to recommend rejection of export permits issued by the Solomon Islands.” The Secretariat received a letter dated 13 June 2007 from the IUCN CSG indicating that there was still no scientific information on dolphin populations in Solomon Islands waters (IUCN CSG 2007a). Despite this evidence that the requirements of CITES had not been met (in this case, that there was no scientific basis for a non-detriment finding), the Secretariat did not recommend rejection of export permits issued by Solomon Islands. This is an inconsistency. The comments of many people and organizations contacting the Secretariat were that no export can be allowed without a valid non-detriment finding; that is, a non-detriment finding supported by adequate scientific and management information, as clarified in CITES Resolutions Conf. 10.3 and 14.7. The Secretariat was informed by the IUCN CSG that there was no scientific information on the dolphin populations in Solomon Islands waters. Their comments, therefore, referred to the lack of scientific information, not to the lack of a non-detriment finding per se. The Parties have agreed that all Scientific Authority findings, including non-detriment findings, are to “be based on the scientific review of available information on the population status, distribution, population trend, harvest, and other biological and ecological factors, as appropriate…” (CITES Resolution Conf. 10.3). The Parties at their 14th meeting did indeed agree to an international workshop to look at non-detriment findings further, from a scientific and technical perspective, with case studies on key types of scientific information; the outcome of that workshop should not be confused with the basic CITES requirement for a non-detriment finding based on scientific data. Methodology may be a unilateral decision, but the Parties’ intention that all Scientific Authority findings, including non-detriment findings, and the establishment of export quotas be based on scientific information was clarified and stated unambiguously in CITES Resolutions Conf. 10.3 and 14.7. It is indeed a sovereign decision of the exporting country as to whether its non-detriment finding is sufficiently robust. However, it is the obligation of the Secretariat not to accept such findings on face-value, but to look behind the permit and provide advice and guidance, particularly when concerns are brought to its attention. The Secretariat was in possession of the letter from the chair of the IUCN CSG (IUCN CSG 2007a) by mid-June 2007, clarifying that the group’s regional experts were unable to locate, provide, or otherwise confirm any scientific basis for a non-detriment finding for Tursiops aduncus, the species in question, in Solomon Islands waters. The Secretariat was therefore indeed presented with information that there was no evidence demonstrating adequate support for a non-detriment finding. If the Secretariat does not have sufficient scientific expertise on staff, it should consult the world’s experts; in this and other cases, it is the relevant IUCN Species Survival Commission Specialist Group. By this statement, the Secretary-General has created a de facto impossible standard of proof for challenging non-detriment findings. He has in effect stated that the exporting country need only say there is no detriment (with no supporting documentation or evidence of any kind, which is contrary to CITES Resolutions Conf. 10.3 and 14.7). This is contrary to the practice of CITES, since it entered into force in 1975. Indeed, according to the Secretary-General, any other Party, stakeholder or concerned entity must provide solid evidence that an export is detrimental. The Secretary-General, by this statement, has effectively determined that it considers clarification/confirmation that such evidence does not exist – that there is insufficient scientific information to determine detriment or non-detriment – to be insufficient to raise any concern about a proposed trade. In light of the IUCN CSG letters, the Secretary-General’s statement also ignores the precautionary principle, which would ensure that, where uncertainty exists, Parties should “act in the best interest of the conservation of the species” (the Parties have adopted this language in relation to listing species on the CITES Appendices (Resolution Conf. 9.24 (Rev. CoP14))). By this statement, the Secretary-General has established a burden of proof that is backwards, unrealistically inflexible, impossible to attain, and not consistent with the CITES treaty itself. The burden of proof is on the exporting country to provide sufficient scientific information to support a non-detriment finding, as the Parties expressed in CITES Resolution Conf. 10.3. The Secretariat, without consultation with the Parties and in contravention of this Resolution, has turned this burden of proof on its head and claimed that Parties or other entities questioning a non-detriment finding must provide scientific information that an export “will have a detrimental impact” (emphasis added). The Secretariat was informed by the IUCN CSG that there was insufficient scientific information to support a non-detriment finding for Indo-Pacific bottlenose dolphins in Solomon Islands waters. The Secretariat has ignored this information from experts and made a statement that has dismissed the clear intent of the Parties as stated in CITES Resolution Conf. 10.3 that non-detriment findings should be based on scientific information. The IUCN CSG letter did not and was not meant to state that the export quota was detrimental. The Secretary-General has turned the burden of proof on its head and set an impossible standard to meet. It is not the obligation of CITES Parties to show that a particular export is detrimental; it is the obligation of the exporting country to determine that an export is not detrimental. This is the essence of the CITES treaty. The IUCN CSG letter sought to inform the Secretariat that there was insufficient scientific evidence to determine that the trade was not detrimental. CITES Resolutions 10.3 and 14.7 and the language of the Convention itself are clear: the burden of proof is on the exporting country to demonstrate non-detriment, not on concerned Parties and other entities to demonstrate detriment. The IUCN CSG was merely seeking to inform the Secretariat that there was insufficient scientific evidence to support a finding of any kind at all. As for the Secretary-General’s comments that there are “a great many dolphins,” it is difficult to interpret this in any way other than that he is assuming that other dolphin species and/or other dolphin populations of the same species in the South Pacific will somehow replace (ecologically speaking) Indo-Pacific bottlenose dolphins removed from Solomon Islands waters (or that he was not aware which species was being exported; he may have confused Tursiops aduncus with other dolphin species). If this was his meaning, then his statement demonstrates a clear lack of understanding of dolphin (or mammalian) population dynamics and ecology. Dolphins (and many mammals) live in distinct stocks or populations, which are often geographically and/or reproductively isolated to at least some extent (Perrin et al. 2002; Reeves et al. 2003). Many such stocks, given the limited or lack of interchange of individuals, would not recover from declines through replenishment from other stocks. There are dozens of species of dolphins and hundreds if not thousands of stocks or populations of these dolphins (Reeves et al. 2003) – they are not interchangeable. The Secretary-General’s statement nevertheless seems to be saying they are. This attitude, if actually applied to wildlife management, would have disastrous consequences for bottlenose dolphins and many other species as well. However, the Secretary-General cannot be expected to be an expert on all species – that is why the IUCN SSC Specialist Groups (and other independent scientists) should be consulted for their independent views on such matters. Dolphin bycatch and hunts are not CITES matters. The traditional hunts in Solomon Islands do not single out the species being targeted for live trade (Solomon Islanders primarily hunt Stenella spp. ; Tursiops spp. and other dolphins are currently being taken incidentally, if at all) (Takekawa 2000). The Secretary-General appears unaware that Indo-Pacific bottlenose dolphins are not specifically targeted for other purposes in Solomon Islands. As for the implication that the threats from fisheries bycatch and direct hunting surpass those of live capture, that may be the case. However, that is not the issue – rather, the Secretary-General has it backwards again. A CITES non-detriment finding should look at whether the export will be non-detrimental, on top of other threats to the species concerned. There are many CITES Appendix II species that are subject to threats in addition to international trade; the proper issuance of a CITES non-detriment finding incorporates and reflects those cumulative threats. The IUCN CSG, in its 2002-2010 Action Plan, noted that “[r]emoval of live cetaceans from the wild, for captive display and/or research, is equivalent to incidental or deliberate killing, as the animals brought into captivity (or killed during capture operations) are no longer available to help maintain their populations. When unmanaged and undertaken without a rigorous program of research and monitoring, live-capture can become a serious threat to local cetacean populations” (emphasis added – Reeves et al. 2003, p. 17). The Secretary-General appears to be unaware of this information; he should consult the world’s cetacean experts before making statements about the risk posed to local populations by live capture. Furthermore, the Secretary-General appears to consider the entire bottlenose dolphin species complex (which includes at least two species and probably several sub-species, as well as dozens if not hundreds of populations or stocks) as one homogeneous, interchangeable population. This is a flawed understanding of the population dynamics of this species complex and of mammalian species in general and of the conservation threats they face. Coastal bottlenose dolphins must be considered by population – some populations are reproductively isolated even when in close proximity geographically (Reeves et al. 2003). While the concerns expressed to the Secretary-General were solely about the lack of science, he chose to view the concerns as motivated by animal welfare and anti-captivity positions. While some non-governmental organizations do advocate on these issues in other forums, we are not aware that any of the organizations expressing concerns to the Secretariat did so based on these concerns. To our knowledge, none of the Parties expressed concerns based on animal welfare either. The concerns expressed relied upon the clear and strongly worded opinion of the IUCN CSG: it is impossible to substantiate that no detriment would occur from this trade because there has been no adequate scientific assessment of the population’s distribution and abundance. The Secretary-General’s confusion of this with animal welfare is inexplicable. The evidence presented to the CITES Secretariat by the IUCN CSG was not based on a three-day field trip. The “field trip” to which the Secretary-General refers is quite separate from the letter sent by the IUCN CSG to the CITES Secretariat in June 2007. The field trip was to get a sense for the welfare of the animals involved in the 2003 capture operation (the IUCN team was made up of a captive dolphin specialist and a marine mammal veterinarian) and to gather as much on-the-ground information as the team could about the operation. The IUCN CSG letter to the Secretariat in June 2007 was an evaluation of the science available on the dolphin populations in Solomon Islands waters and was based on the career knowledge of at least two members of the IUCN CSG, who are experts for that region (Drs. Benjamin Kahn and John Wang), and a thorough review of the scientific literature. There is virtually no peer-reviewed information on the dolphin populations in this region and the experience of the regional experts was that there is no substantive gray literature on these populations either. The Secretary-General is saying that the burden of proof is on those expressing concerns to provide evidence that there is detriment rather than on the exporting country to provide evidence that there is no detriment. In June 2007, the IUCN CSG was informing the Secretariat that according to regional experts, there are no data on these populations, so there can be no scientific basis for a non-detriment finding. The Secretary-General seems to be implying that since the IUCN CSG did not provide solid evidence that there was detriment, whatever else they said was irrelevant. CITES Parties should be very concerned about this implication. We are concerned that, in this instance, the Secretary-General’s misunderstandings have caused the CITES Secretariat to issue judgments and statements that ignore the specific context of this trade, and the intent of CITES Resolutions regarding the need for science as a basis for decisions regarding sustainable exports. We fully support the CITES treaty, whose very essence is the scientifically-based issuance of non-detriment findings. We urge the Parties to address this issue. IWC (International Whaling Commission). 2004. Report of the Scientific Committee IWC56. 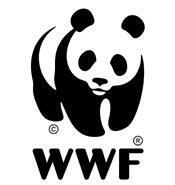 IUCN (World Conservation Union) Cetacean Specialist Group. 2007a. Letter to CITES Secretariat, 13 June 2007. IUCN (World Conservation Union) Cetacean Specialist Group. 2007b. Letter to Ministers of Solomon Islands, 13 June 2007. Perrin, W.F., B. Würsig, and J.G.M. Thewissen (editors). 2002. Encyclopedia of Marine Mammals. Academic Press, San Diego. Reeves, R.R., B.D. Smith, E.A. Crespo, and G. Notarbartolo di Sciara (compilers). 2003. Dolphins, Whales and Porpoises: 2002–2010 Conservation Action Plan for the World’s Cetaceans. IUCN/SSC Cetacean Specialist Group. IUCN, Gland, Switzerland and Cambridge, U.K.
Takekawa, D. 2000. Hunting method and the ecological knowledge of dolphins among the Fanalei villagers of Malaita, Solomon Islands. SPC Traditional Marine Resource Management and Knowledge Information Bulletin 12: 3-11. --Prepared by the Species Survival Network, 21 November 2007.